The Candlewood Suites® Hotel O’Fallon is an all-suite, 79-room extended stay hotel which caters to tourists, business travelers, and government travelers in town to visit nearby Scott Air Force Base. In addition to spacious suites which each include well-equipped kitchens and executive work desks, the hotel also provides a business center, onsite health and fitness center and outdoor barbeque areas. Hotel guests demand wireless network connectivity, not only for business and government travelers to connect their laptops, but to support the increase of mobile devices such as smartphones and tablets that guests use to access the Internet. 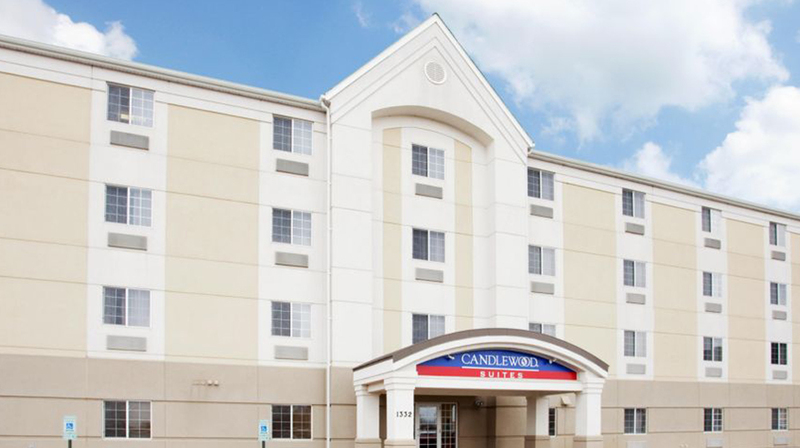 While the Candlewood Suites promoted free Wi-Fi access in every suite, guests were frequently frustrated by the difficulty or inability to access the network throughout the four-story building. To solve the problem, the hotel contacted Cierra Digital Communications. Located in O’Fallon, Illinois, Cierra Digital Communications provides communications infrastructure solutions for small and medium sized businesses. Owner Dennis Miller specializes in PBX networking, wireless networks, video surveillance, premise security, and two-way radio. Upon inspecting the existing wireless network infrastructure, Miller found that the existing network was not providing adequate coverage throughout the building and that in areas where there was coverage, the signal levels were poor. “The hotel was using consumer-grade routers and the guests would either see the signal and not be able to log on, get bumped off of the network, or couldn’t see the signal at all,” explained Miller. “The network couldn’t function with all of those users in such a small hotel.” Miller knew that to fix the problem and provide reliable wireless connectivity for the hotel’s guests, he would need to deploy a new, more powerful business-class wireless network infrastructure. Identifying the solution would be his next challenge. After discussing the benefits of the Neutron Series Wireless Management System with Keenan Systems, an EnGenius Master Reseller, Miller purchased the EWS5912FP Neutron Series 8-Port GigE PoE+ Wireless Management Controller and Switch along with nine EWS320AP Neutron Series Dual-Band Wireless N900 Managed Indoor Access Points. The EnGenius Neutron Series Wireless Management Solution is a scalable solution for operations that occupy large properties and that need to deploy, monitor, and manage numerous EnGenius Neutron Series Wireless Access Points from one simple and accessible browser-based software platform. Neutron Series switches can support any number of Neutron Series Wireless Access Points from a few to several hundred, depending upon the number of Neutron Series Switches in the network. “We initially installed the switch and mounted four of the access points in the ceilings and fired it up,” said Miller. “The signal was huge everywhere with just four of the access points hooked up!” After deploying the rest of the access points and configuring them through the EWS5912FP switch, he found the signal coverage throughout the property to be “five bars of signal everywhere.” He also stated that installation of the system was quick and easy and took a total of only two hours. Learn more about the Neutron Series.